Do you desire to be one of those Type A planner gals, but just don’t know how to muster her up? Stay right here, because I am going to drop a big bomb of awesomeness in your lap! I am not an organized person. I crave structure and routine, but for the life of me, I cannot seem to inject it into the chaos of six kids. Every time I get that exercise routine going or I get a menu plan written out, life happens, we deviate from said schedule, and then I feel defeated. It is enough to make any mom want to throw in the towel. I have a weird anxiety thing too when it comes to paper planners. They are just so pretty, clean, and white. The idea of writing in them, erasing, and filling them up, stirs up panic within me. Is that healthy? No, probably not, but it has caused me to flee from paper planners and seek out a better tool that fits my family’s needs and my weird personality quirks. Homeschool Planet is an online homeschool planner created by Homeschool Buyer’s Co-op. The only thing I don’t like about it is that the name boxes it into a “homeschool” planner, and yet it is so much more. As Erica, in the video below puts it, Homeschool Planet is the “control center” for the busy mom. It is the perfect planning tool for scheduling homeschool, home, and work. As an online planner it allows you to see your personal calendar and homeschool day in one place. Watch the video below to go to the site and see it in action! I have used other free and paid planning programs online, as well as, organizer applications on my iPhone, and of course, popular paper planners trying to find something that works for my family to no avail. My transition to Homeschool Planet has been the most seamless I have found. The video tutorials are extremely detailed with step-by-step instruction perfect for a frazzled mama that struggles to find the time to learn new things. I have been using Homeschool Planet since the Fall of 2016. After reading a few reviews I knew I had found my match. I was in love with all of its intuitive features. It was like they knew what I needed before I knew what I needed. Want to try it out for yourself? I highly recommend signing up for a FREE 30 DAY TRIAL! If your like what you see during your FREE TRIAL, for a limited time get 2 months of Homeschool Planet for JUST $2 with the exclusive coupon code TalkingM2M at checkout! I used Homeschool Planet last year in a more relaxed way. I had only 3 students homeschooling, a third grader, first grader, and kindergartner. I didn’t feel the need to mess with strict grading or those features that would be more necessary for high school transcripts. However, I did use it for lesson planning and attendance records which we needed to fulfill state regulations. Have a high school student? Check out Richele’s review on Homeschool Planet and how she uses it to prepare high school transcripts! Easy pre-made lesson plan downloads for you favorite curriculum resources. Lesson plans can easily be created for shared work between children or individually for each child. Automated scheduling makes lesson planning a breeze! Simple, one-click rescheduling of your lesson plan from day to day. Pre-Made Lesson Plans: We are taking advantage of this feature for the first time this year. I purchased the IEW Writing Intensive Level A Lesson Plans from the Homeschool Planet Marketplace for my eldest because we are doing this program this year. With just a quick click, Homeschool Planet uploaded our entire year’s lesson plan for us for this program! How SIMPLE is that?! Lesson Planning for Multiple Students: As a large family, we often have subjects that we do together like Bible, Science, and History, but there is a catch! My children, due to their age differences, will sometimes have shared assignments and other times individual assignments. Homeschool Planet allows me to easily assign to each child what needs to be done, as well as the shared assignments. I LOVE the FLEXIBILITY! Automated Lesson Planning: This feature is really snazzy. I use Math-U-See for my younger two students. I was able to quickly tell Homeschool Planet that our pattern is Lesson 1-A, 1-B, 1-C, 1-D, 1-E for week 1 and week 2 shifted to 2-A, 2-B, etc. and that we end that pattern at Lesson 30. It pre-populated the sequence for me without my having to write it all out or go into each of those days on the calendar and manually add those lessons. Totally INTUITIVE! One-Click Rescheduling: Last year, I pre-scheduled my entire lesson plan. I used that auto-population feature for all my lesson plans, but I obviously didn’t stick to that schedule for the entire year. We took off a day here, a week there, and yet it was so easy to reschedule. When you log onto Homeschool Planet, it prompts you to reschedule anything that wasn’t marked complete. It allows you to mark it completed, to delete it, to push your schedule a day out, or reschedule it for a totally different day. So QUICK and EASY! Check out all the features found in Homeschool Planet HERE! And for a limited time get 2 months for JUST $2 with the exclusive coupon code TalkingM2M at checkout. I mainly used Homeschool Planet for tracking our attendance last year and used it to keep me accountable to the general material I should be covering that time of year. I went in monthly and actually filled in the details needed and used the rescheduling tool for a quick shift where the plans on days were changed. It worked so well for my disorganized self. I needed a year of dipping my toes in the water before diving head first like I am this year into detailed lesson planning and using the grading scales … which are pretty cool too! Grading options allow you to grade just a single subject or grade by subject groups. If you have one umbrella subject that covers a few individual subjects but need only one grade you can make this happen. For example, your Language Arts program may encompass Grammar, Spelling and Vocabulary. You can enter the grades for each subject individually and then Homeschool Planet will grade them as a group for you and issue one single grade for the Language Arts subject. Isn’t that cool?! Homeschool Planet gives me that organized feeling in my homeschool that I need without giving me the simultaneous sensation of restriction. If I don’t stick to the schedule, Homeschool Planet just asks me if I want to move those assignments to the next day, choose the day I want to add it to, or delete it from the schedule. I don’t have to manually go in and shift the whole schedule. It does it all for me, no erase marks, no anxiety about the white space filling up of the pretty and pricey paper planner. It asks me one question, works its magic, and PRESTO! I am back on schedule. Homeschool Planet tracks my schedule and our attendance for me so that I don’t have to think about it or keep up with it. Tracking attendance, hours spent teaching, and submission of grades may be a part of your state homeschool regulations. If you are looking for a better way to stay organized and keep on top of your homeschool day, I know that if you try it you will find Homeschool Planet to be a well-used, much-loved tool at your disposal. Another amazing feature that our friends over at Buyers Co-op added to Homeschool Planet is the ability to sync it with your Google Calendar, iCal, or other popular family calendar applications. They really have thought of everything you (or your spouse) might want or need! This year I have multiple children in therapy on certain days of the week, church events, and family appointments that I am loading into our schedule. The kids will have their chores on their daily schedule as well. As our schedule is emailed to me daily for a quick print, I can then quickly jot down my to-do list for that day. At the end of the day, I can just toss the schedule in the trash for less paper clutter! For me, having all of this in one place with such a simple procedure for rescheduling at the click of a button, it just makes organization feel attainable. That is what I needed and Homeschool Planet succeeded in providing me: an intuitive planner that knew my needs before I knew them. It has saved me both stress and time, and for a busy mom, that really is invaluable. Did you sign up for the FREE TRIAL OF HOMESCHOOL PLANET? For a limited time get 2 months for JUST $2 with the exclusive coupon code TalkingM2M at checkout. Share with us in the comments below what you think about it! Cannot wait to use Homeschool Planet! With 3 kids and one in high school, I need all the help I can get. I LOVE Homeschool Planet and would love to have a free year! We use it for everything! I have enough papers to keep organized. An easy to use program on the computer would be a blessing. I’ve been using this for a few years now & love it. It would be great to get a year for free. This kind of planner definitely simplifies any schedule changes. I like how it looks. This planner definitely sounds like something I could use. I’m always trying to keep everything written, because I haven’t really found anything online that does it all— but it sounds like Homeschool Planet just might! 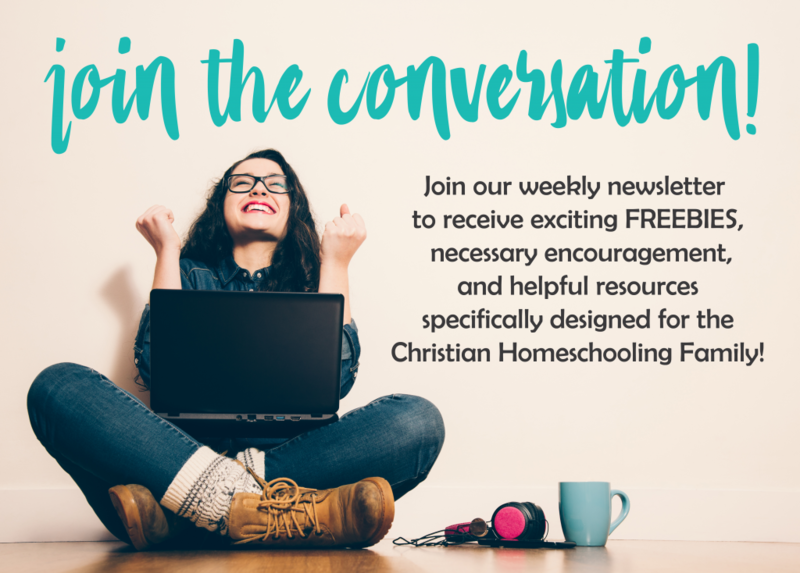 Anything that helps simplify homeschool life is always a blessing! Would love to try out Homeschool Planet! Homeschool Planet will really help me stay organized. I definitely need the help this year. I’ve been using the free trial and was just able to plan our whole year in under 2 hours. I NEEd this in my life 😉 I work full-time, so having this easy planning capability would be a blessing. This sounds like a really great way to stay organized! Thank you for sharing! I did the free trial this summer for this program and fell in love with it. It’s highly intuitive. Would love to win a year’s subscription! I love the feature of setting up lessons that follow a reoccurring pattern. I hope to continue using Homeschool Planet after my trial. I have never had an organized plan in all the 21 years I’ve been homeschooling. Well, even though I have already graduated 3 homeschool students, I still have a high schooler at home for a couple of more years, plus I work part time outside the home, babysit young grandchildren several long days a week, and care for elderly parents on both sides of the family. SO….this would be great for all of us! My son would not lose his lesson planning sheet this way, or say he couldn’t read my writing! (Ha!) I could probably even make changes while I was at work before he started an assignment. I can see endless possibilities!! My whole family could all easily keep track of each other’s schedules and appointments without texting back & forth!! I have no clue how to start planning and now that I’m attending college classes as well our homeschool routine needs to be set. I signed up for the free trial a month ago and I am excited to use this for the upcoming year. As a full-time working mom AND a homeschooling mama, I need all the help I can to stay organized. Homeschool Planet is awesome. I hate using paper planners because they always look messy. I think homeschool planet would really help me have clearer assignments for my kids. I love the ability to print out daily checklists for each kid. This helps us all stay on track, especially when they can’t get to a computer. I have LOVED using “Planet” as we call it in our house, for the last few years. I appreciate the new features as they are added as they always make the experience better. The resource list has become one of my favourite features to keep track of curriculum so that I don’t accidentally re-buy. I’m excited about the possibilities that homeschool planet has for organizing not just my homeschool but my family’s entire schedule. The grading feature is very nice. I look forward to being able to track progress this way. I like that it will record grades which will make preparing a transcript easier in a couple of years. so much better than the paper planner I’ve been using! I think the daily checklists will be great for when I’m at school to keep my independent learners on task. I’ve been using the free trial and I am constantly amazed at how easy it is to use and how many features it offers. This has to be the best planner out there, and I can’t wait to continue using Homeschool Planet. I think homeschool planet would save me a lot of planning time. This has eliminated my fear of “falling behind” because it has made it so easy to reschedule lessons. My dd has been asking for grades and I’m hoping this planner will help me make that task easier. I love all of its other features, so I am optimistic about grading. I love that lessons are easy to reschedule. I have a hard time when things interrupt my routine. Such a time saver and huge help for this busy mom! I hope that it will save me time so I can focus on other things. I love that each days schedule can be emailed.